Angie and Gary Rexroad had trouble finding a dog food for their picky dog, Rex. They found a man who made his own dog food in Nebraska, and Rex loved it. However, they were unable to obtain any more of the dog food after the man died. So they set out to produce their own dog food and decided to remove the corn, wheat and soy ingredients. Toward the end of 2013, their dog food product passed the taste test from local dogs, and the manufacturing began. The dog food is manufactured in the same plant as the dog food made by the man in Nebraska, at a plant in Sioux City, Iowa. For now, the food is only available in certain cities and stores in Kansas, as well as a few spots in Missouri and Texas. 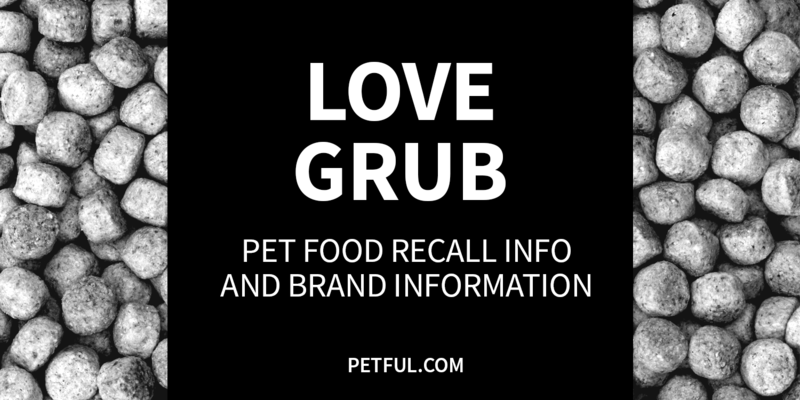 Has Love Grub Ever Been Recalled? Have You Had a Problem With Love Grub?